The results reveal that Enterococcus faecium bacteria have become more tolerant to alcohol over that time. “We found that the new isolates, post-2010, were 10 times more tolerant to alcohol exposure than the earlier isolates,” said Stinear. Further work by the team involved studying genetic mutations in alcohol tolerant Enterococcus faecium isolates, suggesting that the bacteria are evolving to become more tolerant. Has anyone looked at the microbiomes on surgeons or doctors themselves? Being around all those disinfectants as well as interacting with so many people and being around different diseases. How does the skin and gut microbiome of doctors and surgeons differ from the rest of us? 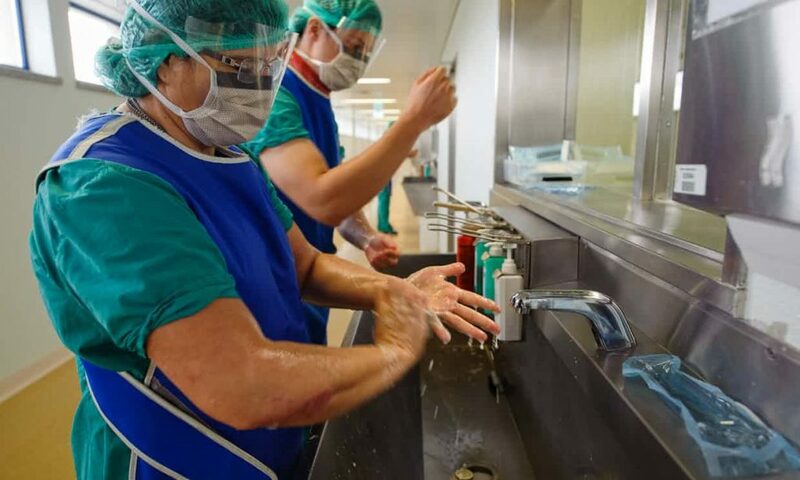 People have definitely looking at health care workers as possible sources of microbes in hospital acquired infections and also in colonization of humans (e.g., babies). But not sure if they have looked at them from the point of view of how they might differ.